We launch our “why are we here” series about the church by reminding ourselves of Jesus’ words in Matthew 16:18 that He is building His church. He is the founder and we are called to follow Him. He invites us to be disciple makers who help grow this movement through our discipling of others. Pastor Marty Williams teaches us about "ecclesia" aka the "local church." 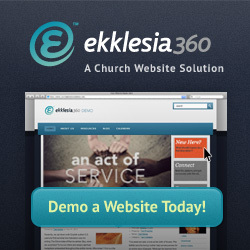 Do you have ecclesia? Work through Matthew 16 with Marty as he helps you understand what ecclesia is and how to recognize it in your own local church. The story of Noah is a great Old Testament picture of what God expects from His Ecclesia (Church) today. Noah found favour with God and showed tremendous faith as he stepped out in obedience. Jesus had the same expectation on His disciples when He commanded them to ‘..go into the world’. What other appropriate response is there for a Christian but to obey and go…? Jesus stood before the actual "Gates of Hades" in Caesarea Philippi and declared that nothing would prevail against His Church. How do we move to be a prevailing, victorious and potent Church, spreading the good news of Jesus Christ? One step is to recognize that we all need to be 'trained in righteousness". What does this training look like? How do we take part? How do become trainers ourselves? God's second purpose for His Ecclesia addresses a need in our lives that we often ignore (or don't make time for). Something that has huge impact on our emotional, spiritual, psychological and physical lives. Something that might just help you live longer. Learn to live like God intended - like he dreamed about before the foundation of the world.